A few years ago, acclaimed East African vocalist and songwriter, Somi, decided to move from New York City to Lagos, Nigeria for 18 months in search of new inspiration. The result: a new album she calls The Lagos Music Salon, that straddles the worlds of African jazz, soul, and pop. When released, it landed at #1 on US Jazz charts with Vogue Magazine simply calling it “Superb!” Born in Illinois to immigrants from Rwanda and Uganda, the African and Jazz legacies are always crucial to her sound. Often referred to as a modern-day Miriam Makeba, JazzTimes magazine describes her live performance as “the earthy gutsiness of Nina Simone blended with the vocal beauty of Dianne Reeves,” while Billboard exclaims that she’s “all elegance and awe…utterly captivating.” The Huffington Post dubbed the young singer “the New Nina Simone.” Singing in English and a wide range of African languages, her artistic evolution is indisputable. 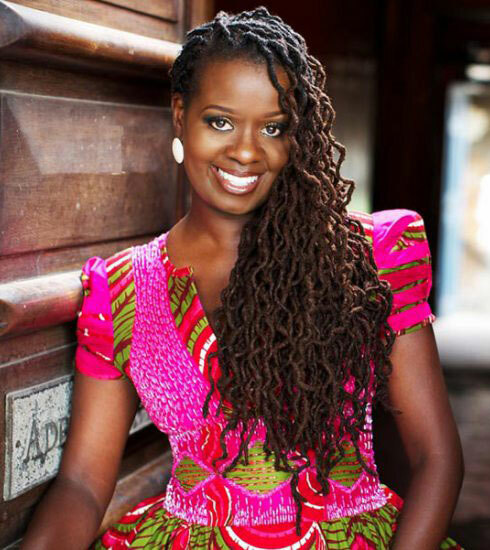 As her career has taken off, Somi’s talents have been called upon for collaborations and live performances alongside a diverse cast of artists including Baaba Maal, John Legend, Paul Simon, Jennifer Hudson and more. Widely acknowledged as both artist and scholar, Somi is a TED Senior Fellow, and is also the founder of New Africa Live, a non-profit organization dedicated to celebrating the very best of contemporary African artists working in the performance, visual, and literary arts. Somi and her band continue to perform at international venues and stages around the world. In her heart of hearts, she is an East African Midwestern girl who loves family, poetry, and freedom.